The SEI-YV provides youth, family members, educators, and counselors with a powerful tool for growth. 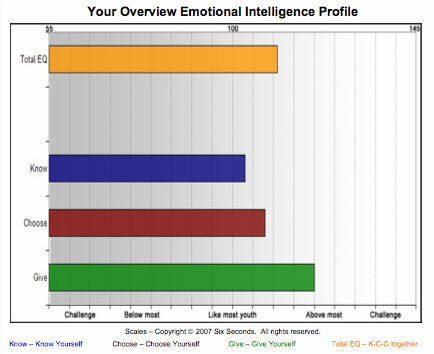 The SEI-YV begins with an assessment of important life-outcomes – the “Barometers of Life” which include Good Health, Relationship Quality, Life Satisfaction, Personal Achievement, Self-Efficacy, and an overall composite. The SEI-YV can also produce simple, powerful 1-page profiles about the child’s approach to emotional intelligence, and/or key talents as a changemaker. The Youth “Brain Brief Profile” offers a quick, practical way to introduce EQ and help children understand their style of how they focus, make decisions, and drive themselves. 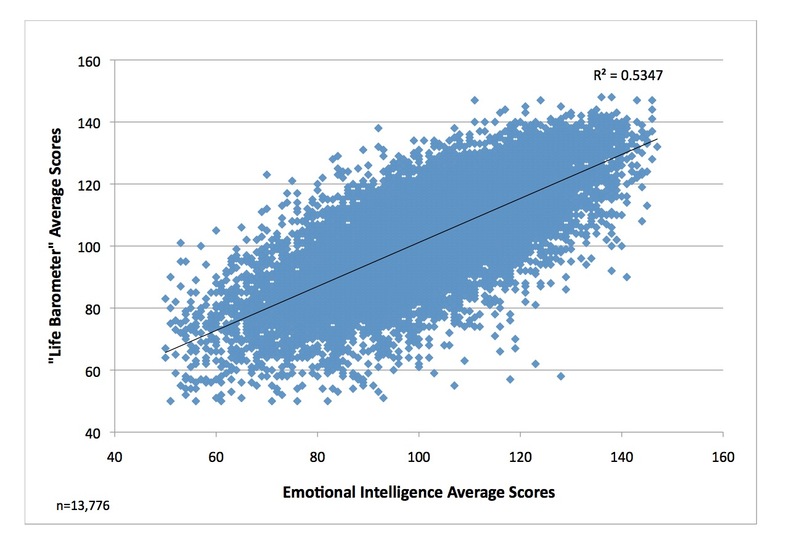 The “Brain Talent Profile” offers insight into the youth’s top six “Brain Talents,” capabilities such as resilience, connection, vision, and commitment that are ways of using emotional intelligence in daily life. This tool is effective for helping a child understand her/his unique strengths (and for groups of children to understand one-another’s). These profiles are summarized for a group in a 1-page “Dashboard” that is highly effective for teachers or other leaders of groups of youth to understand and discuss the group’s social emotional strengths and needs. Click here for more on the Profile series. 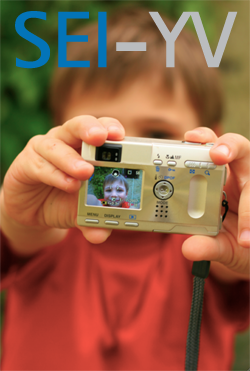 The SEI pYV is available for children of any age — it provides a report about a child from the perspective of an adult who knows the child well. The pYV uses a similar structure to the YV, but instead of self-assessment, the pYV offers an assessment by another person. The pYV and YV can be used together, for example, a parent and teacher each complete a pYV to show their perspectives, and a youth completes the YV. Then, the group can discuss where their views align and where they disagree. This process is highly effective for building a shared understanding of social emotional strengths and challenges. The SEI-YV retail price is $5. Certified Consultants receive a quantity discount based on volume. SEI-YV is a Level B assessment, as such, certification or appropriate qualification is required to administer. The certification is available 1-1 virtually or for groups. Numerous certification training options are available, including online/virtual. At present, the SEI-YV is in English, Italian, Chinese (simplified), Spanish (Latin, with Tu & Ud versions), Arabic, and Lithuanian other languages forthcoming. Six Seconds provides a select number of grants to educators and researchers to use the SEI-YV free of charge. Click here to learn more. Please contact us for more about this outstanding tool.